Still there as of 8:15 AM. Pending Community Review – Do Not Cut. These signs appeared overnight. I asked the park’s manager what he knew about them. He said it was not an official notice and the tree is still scheduled to be cut down at any moment. He also said that the cutting would be done by a private contractor and not the Park’s own foresters. 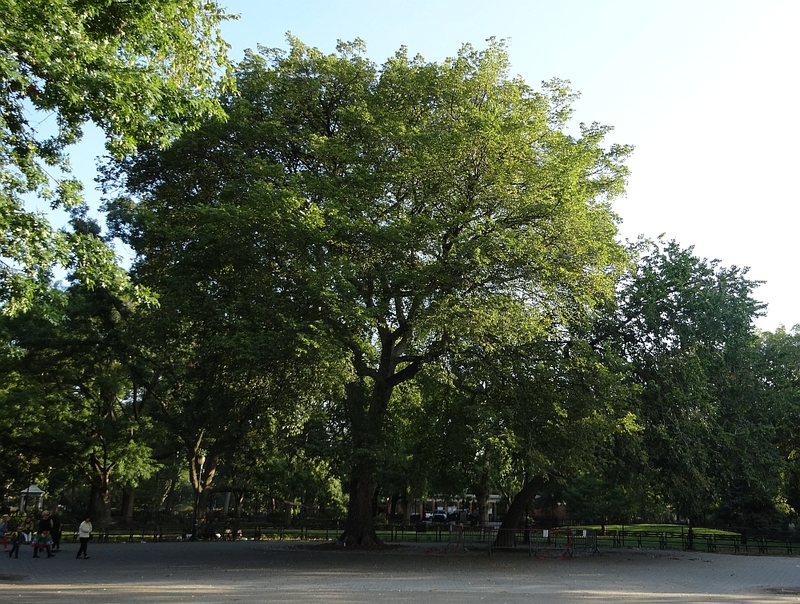 This is a special tree, a complete explanation of what the problem is and why the cables are not adequate to keep the public safe should be given to us. 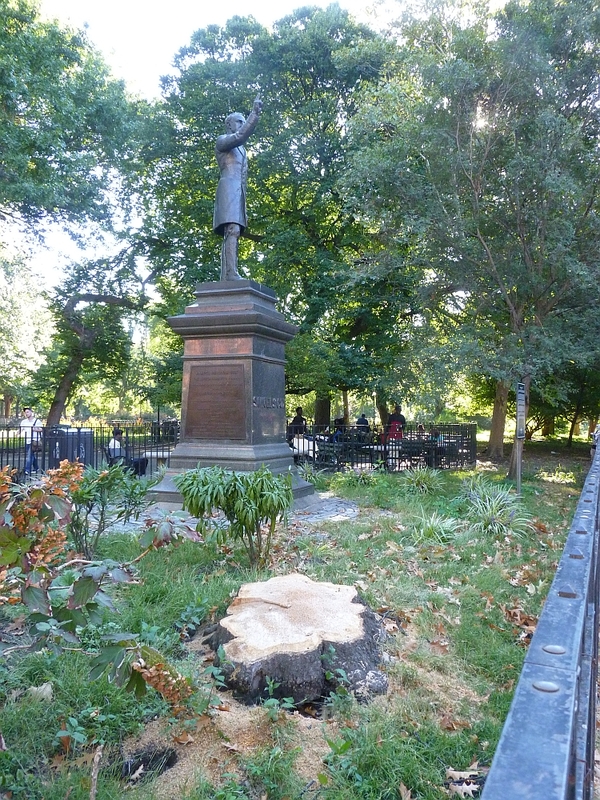 Also the reason the Paderewski Red Oak was cut down on Monday was not given to the park manager. He had no advanced notice of the removal. 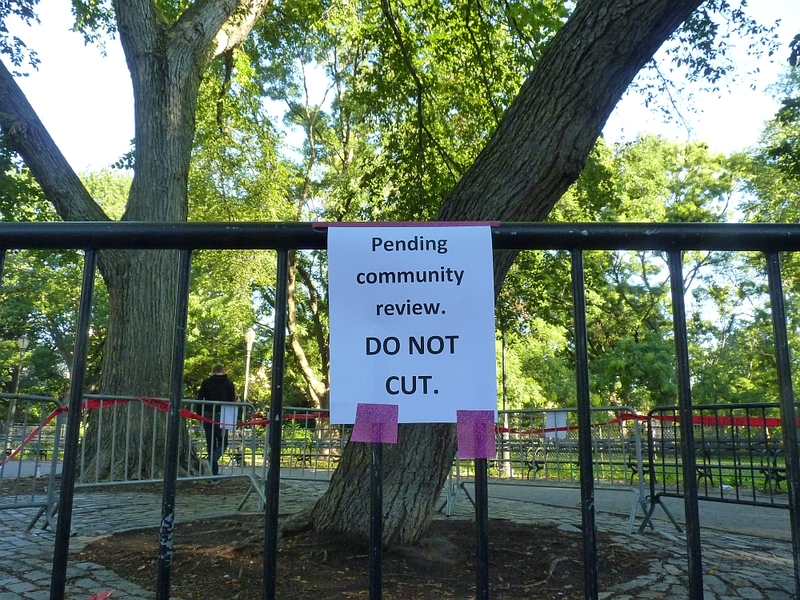 The tree was sickly, but why it was removed is not known as the dead overhanging branches were removed earlier this year. 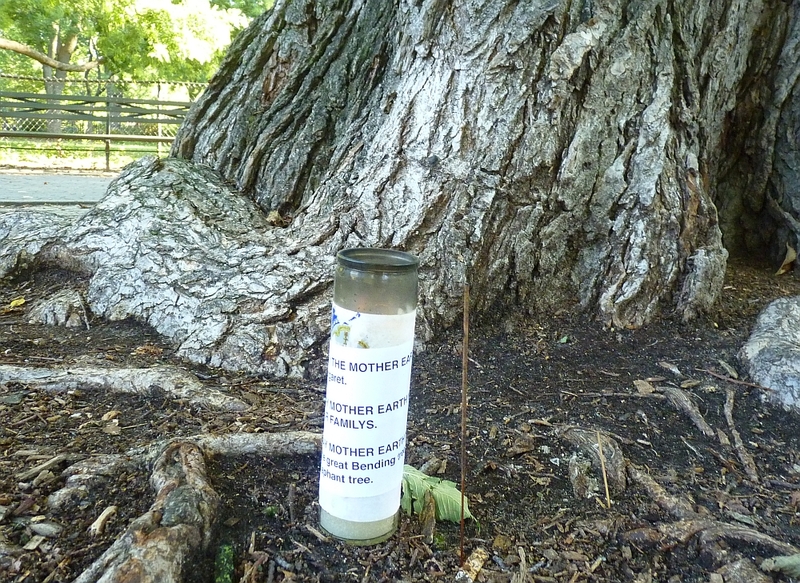 This morning I also found this votive candle and a stick of incense burning in front of the Krishna Tree, next to the Leaning Elm. I suspect this is from the Krishnas. 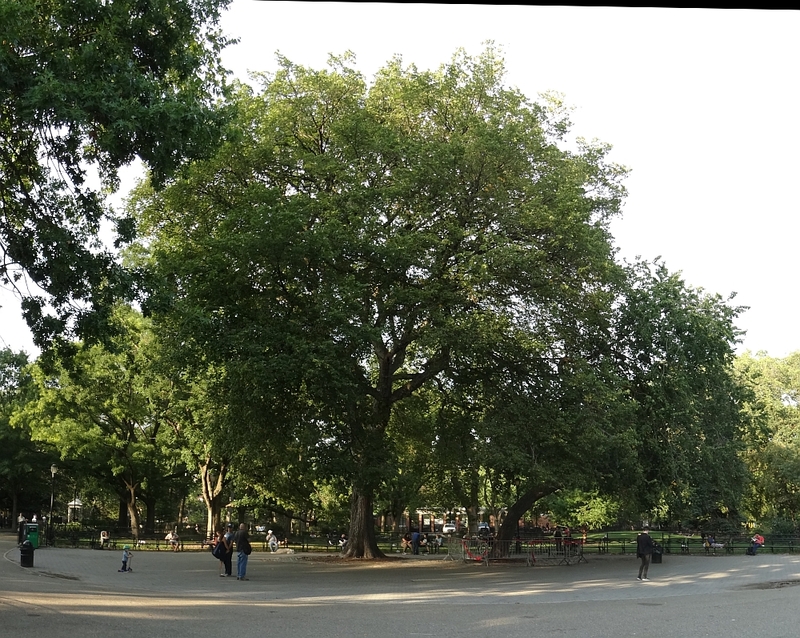 Reverend Billy and the Church of Stop Shopping Choir praying for and celebrating the Leaning Elm in the Central Plaza of Tompkins Square Park, the tree that went its own way.